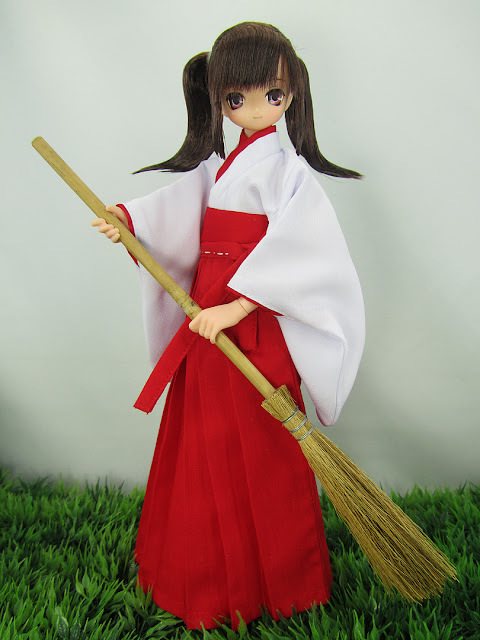 You've seen this doll in the past, photo hopping on some Licca-chan doll photos around this blog. 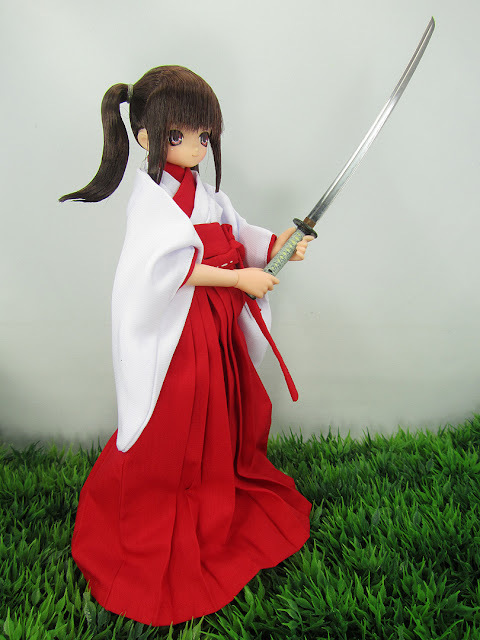 But my Pure Neemo doll has never had her own proper photo shoot. I haven't even decided a name for her. I don't particularly like her name Aika so it's bound to change. For now, I thought she'd be the perfect model for the hakama that I had gotten along with her in Japan a year ago so here she is! Hakamas were only traditionally worn by men. Times have changed however....Thank goodness! They are worn today by both sexes, and goes over kimonos as far as I know. Strange that this Azone outfit is loose on my doll even though it was made for Pure Neemo dolls her size. It's not noticeable so I guess it's ok.
Hello from Spain: I like your doll. It has an expressive face. You're right that today is worth the name of man and woman. Keep in touch. Yeah... I have the same problem with a few of my PN outfits, they're just too big. Where did you get that great little sword??? The sword came in one of those boxed miniatures like Rement. I picked it up while I was in Japan. I can't recall the name anymore. I'm sorry Heather.